Heat coconut oil in a pot over medium heat. Add chopped onion and minced garlic until fragrant and soft. Add potato, cauliflower and mushrooms in and stir through for about 10 minutes until brown. Season. Add Dijon mustard, ground nutmeg, rice flour. Stir well. Then add water or stock with milk and simmer on low heat for 5-10 minutes. 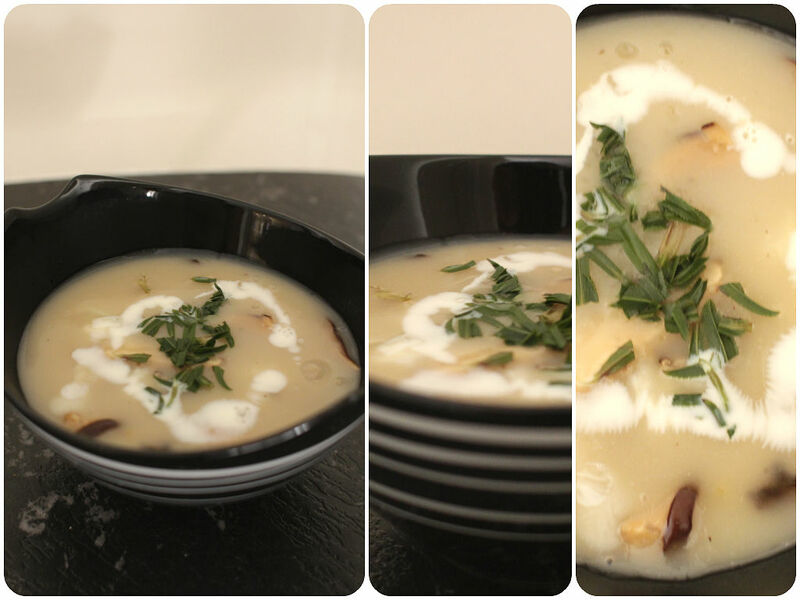 Ladle the soup into a serving bowl and garnish with a dash of milk and chopped tarragon.